(5:38 p.m. EST) -- Want to use your onboard credit to book shore excursions and other add-ons ahead of your Regent Seven Seas Cruises sailing? You soon will be able to, with the luxury line's upgraded onboard credit policy -- one of two recently revealed features that also include a new casual dinner experience on the pool deck. 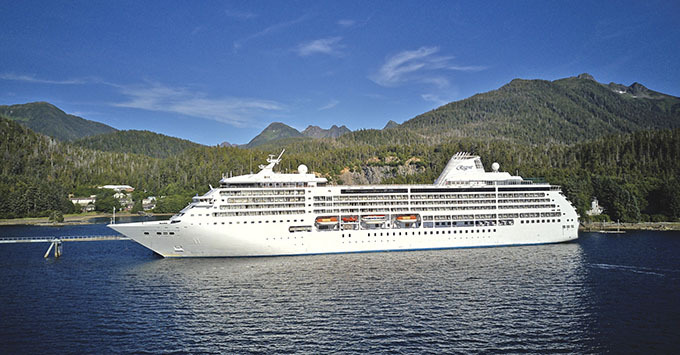 Regent Seven Seas Cruises said the changes are based on passenger recommendations. In addition to receiving early onboard credit access, passengers can look forward to a new, casual outdoor dinner experience across the fleet. Sunset Dinner at the Pool Grill is now is now available on all four of the line's ships -- serving grilled-to-order steaks, chops and burgers, fresh seafood, sandwiches and salads in a relaxed setting, where passengers won't feel pressured to dress up. "Every guest has a slightly different definition of luxury," said Regent Seven Seas Cruises President and CEO Jason Montague in a statement. "For some, the ability to relax and enjoy the finest cuisine in a casual setting, while watching the sunset from the pool deck of our ships and seeing the ocean waves go by, is luxurious. Our goal is to deliver a personalized experience to all our guests and serving dinner at the pool grill is one more step in delivering this customized guest experience." Sunset Dinner at the Pool Grill follows a trend of luxury cruise lines adding casual dinner options. Seabourn recently revealed a similar experience at its outdoor poolside grill: Earth & Ocean at The Patio, while Silversea's Silver Muse debuted in 2017 with a casual, alfresco pizza eatery called Spaccanapoli.